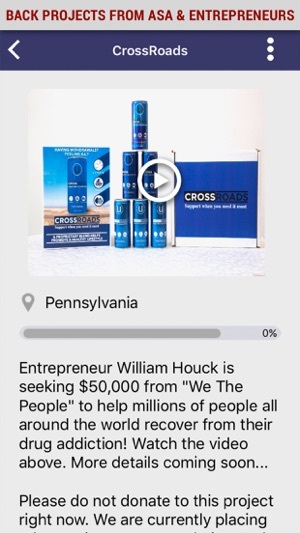 Through the ASA app, American citizens can help bring into fruition many exciting projects from ASA and aspiring entrepreneurs that ASA partners with. By supporting projects, citizens play an important role in providing hope, financial relief, and job opportunities to millions of Americans. - Use the app’s QR code reader to scan vouchers you receive at ASA fundraising events. 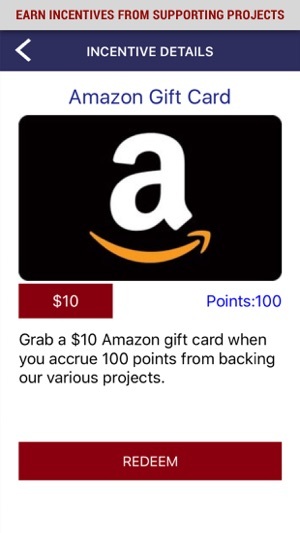 These vouchers allow you to support the various projects featured in the app. - Browse all the current projects ASA and ASA-partnered entrepreneurs have available for support at the time. Each project provides in-depth details about the product or business ASA or entrepreneurs are launching, as well as a video to share the story behind it. - View a list of current and past projects you’ve supported. - Watch owner appreciation videos from ASA-partnered entrepreneurs. - View top supporters of the month. 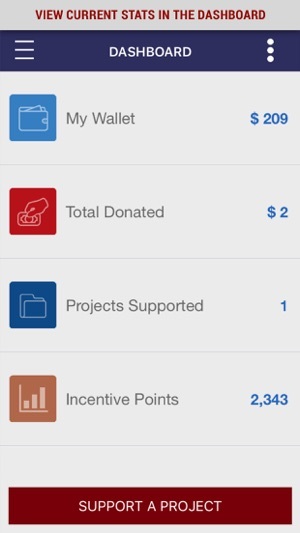 - Earn points every time you support a project. Accumulate, then use these points to redeem prizes. Easy to use, and set up nicely. Very sleekly designed too!